I love industrial touches in small doses--whether lighting, chairs or tabletops. 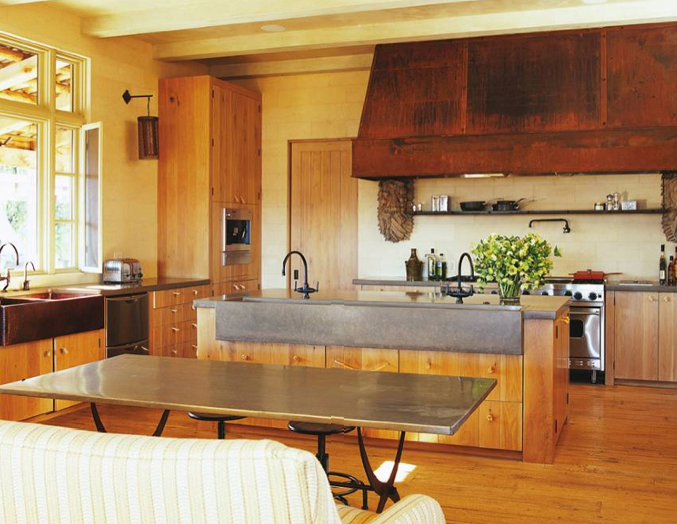 These touches add interest and charm to traditional and modern spaces alike. I love the first photo. What a beautiful space. I love the touches of "industrial". It makes it so modern and fresh. 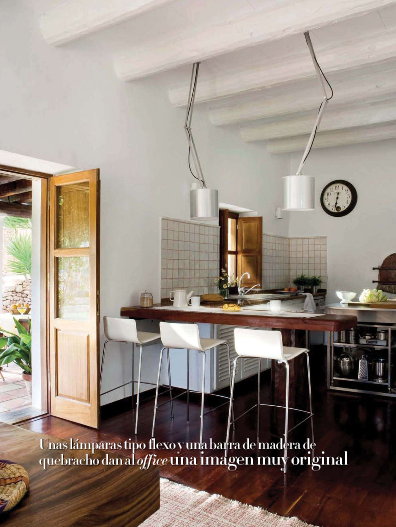 Green and white are such great kitchen colours - love the floors on the second kitchen as well! Wonderful collections of pics, I love industrial touches too. i love the industrial touches! so chic. xoxo jillian:: don't miss my fishs eddy dish giveaway! Love the first kitchen! So sleek and stylish! 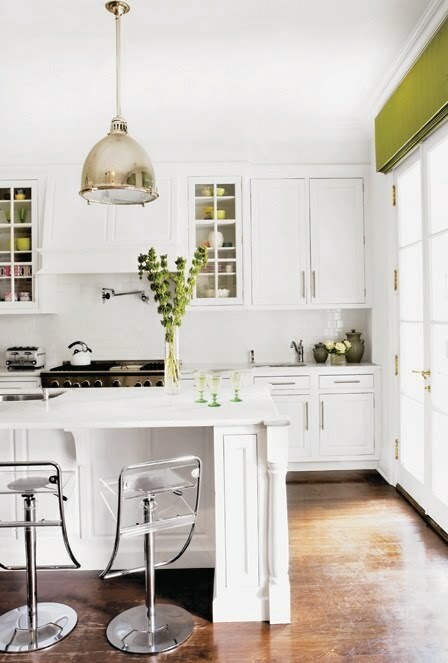 Love that white kitchen with the little touches of green. 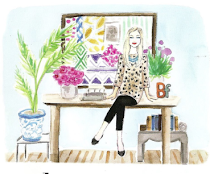 Thought I'd say hello from your newest follow - love your blog! I always love industrial design. I really have to do room make over with this theme. Thanks for the inspiration!